While most think of demolition as knocking down entire buildings, EAI performs many different types of demolition projects. Each project is complex and often requires numerous steps to completion. EAI provides comprehensive resources and an experienced staff to fulfill demolition projects safely, on time, and in budget. This is what the average person most often is referring to when talking about “demolition”. 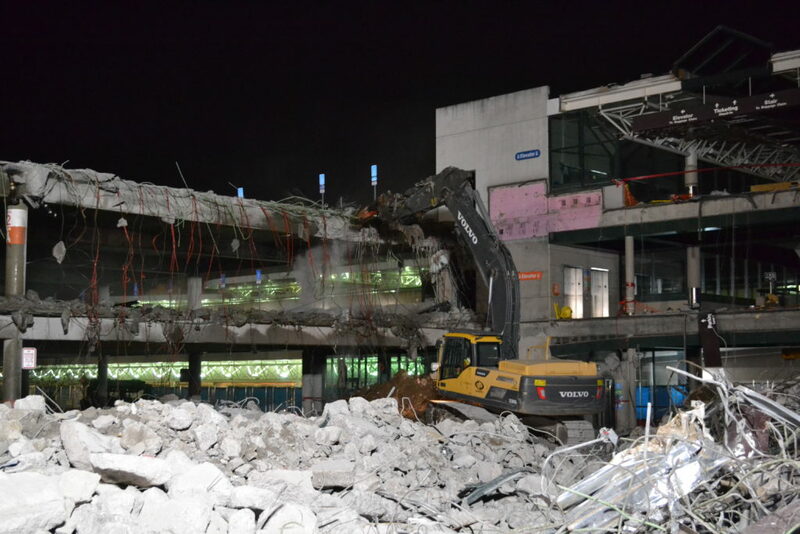 Complete structural demolition refers to the total dismantlement of a building or structure. This includes removal of all materials down to the foundation, hauling and disposal of debris. EAI is competent in both large and small structural demolition projects. A more specific and difficult type of demolition, selective demolition requires a highly skilled and experienced team to successfully tackle projects. EAI has a specialized group of personnel that take on these often-tedious projects. The team must successfully remove isolated portions of structures while maintaining the viability and quality of other sections that are left intact. Each project is unique and comes with its own set of complications. 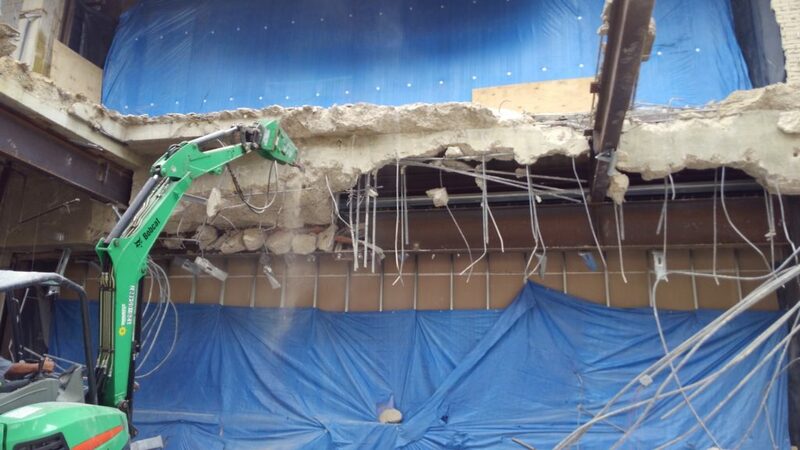 Selective demolition requires an attention to detail in which the EAI team excels. Interior demolition is perhaps the most unique of all types of demolition, with each project ranging from very simple to extremely complex. Certain clients need only removal of architectural finishes or a single wall; others require the removal of mechanical, plumbing, and electrical components. 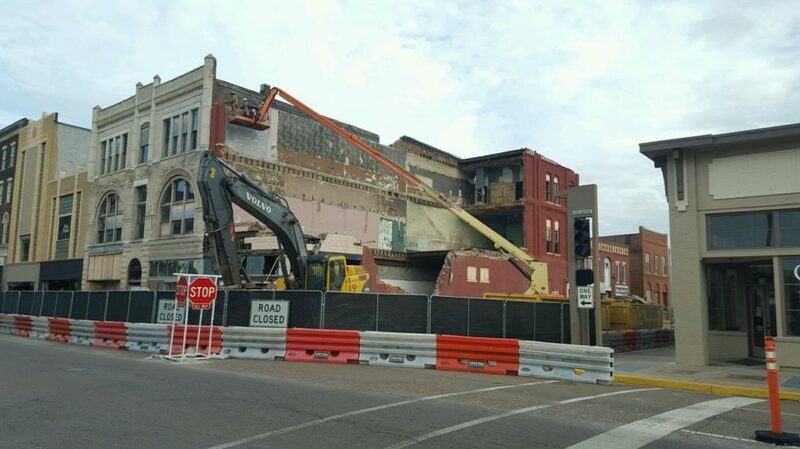 With these types of demolition projects, dust and logistics are integral, and EAI takes special care and consideration to keep as much of the construction area as contained and undisturbed as possible. EAI is a full-service demolition contractor that excels at a wide range of project needs—from small areas to monstrous structures. To see some of the jobs we have taken on recently, visit our projects page. You’ll see the unique challenges that come with each project and how our team adapted to fulfill the requests of our clients. Call 615-264-2711 or fill out our form.